One of the top questions I’m asked when it comes to blogging is, What should I blog about? My answer is always the same: blog about what you’re passionate about. 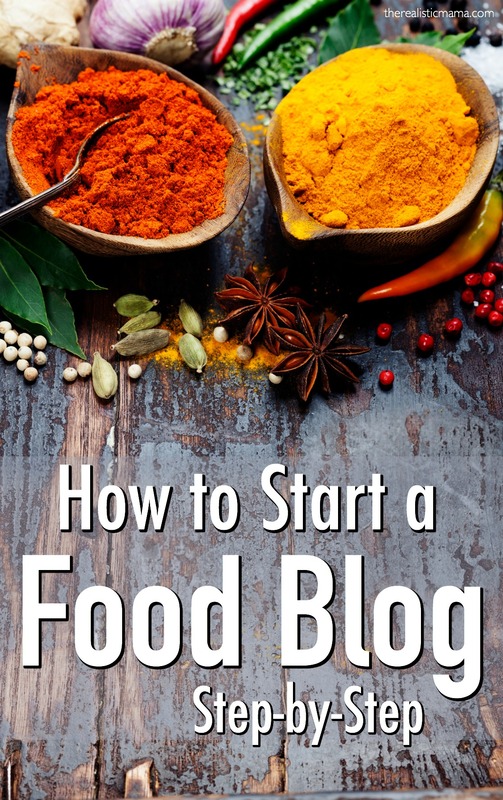 If it’s food, start a food blog. Share recipes, meal plans, easy or healthy eating tips, and more. I’ll show you how to start a food blog below. First, you’ll have to set up your blog. Click here for a step-by-step tutorial — it takes 15 minutes or less. After you write your first couple of posts it’s time to get people to your posts. Pinterest will quickly become your best friend. Do whatever it takes to improve your food photography skills as you go. Create tall and skinny photos for Pinterest and join as many food/recipe Pinterest Group Boards as you can. Instagram is another great place to share your food/recipes. Hashtags are a great way to grow your following there. I also highly recommend you start collecting emails/a newsletter list from the beginning. Encourage your new readers to subscribe for your updates, etc. I talk more about how to do this in my Successful Startup course. Your newsletter is where your most loyal tribe hangs out and how you can quickly turn your blog into a profitable business even with a small list. When you’re initially setting up your blog, choose a theme that has a recipe card feature which will help your recipe posts look professional from the start. There are free Food Blog themes out there, or if you have a little extra to invest, Foodie Pro is an amazing Genesis theme (Genesis tends to be the gold standard of blogging themes – very search engine friendly!). Just like in anything, the results you have will be directly related to the work you put in. Making money blogging is extremely doable. I make over full-time income on this blog working part-time hours. And while my blog tends to be more family/mom oriented, I actually got started after reading and being inspired by an income report on a food blog where a couple was making $20,000 to $30,000 a month blogging and they make even more than that now. When it comes to food blogging, your best success is going to come if you are truly passionate about the food people eat, recipes, cooking, etc. If you’re more passionate about something else, like parenting, consider starting a mom blog or whatever it is you’re passionate about. Whatever topic you decide, my step-by-step tutorial for the basic set-up is a great place to start. And the best part, your topic can change as you go! I know an extremely successful craft blogger who started as a coupon blogger. Even my own blog, had a ton of healthy living/food posts when I first started but now is mainly about spending more quality time with your family and helping moms make extra income so that’s possible. If you start a blog, leave a comment with the link to your new food (or other) blog so we can check it out!